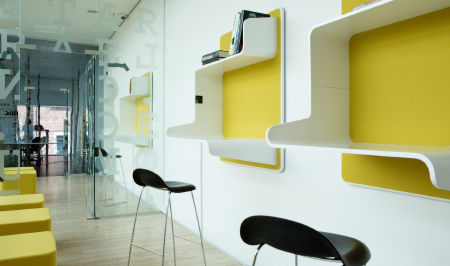 Abstracta shares this insight, provides the proper details and designs that transform the workspace from good to great. 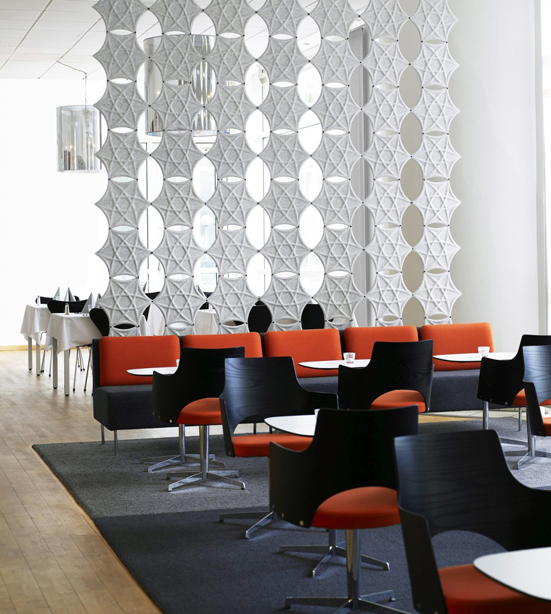 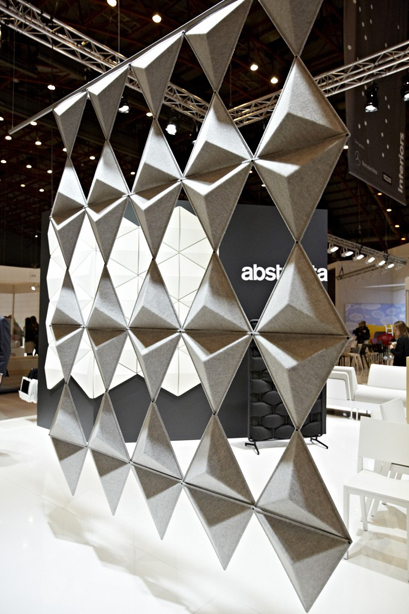 In the 1970s Abstracta established itself in Sweden, and the following decade development began on the first acoustic products and products for conference rooms. 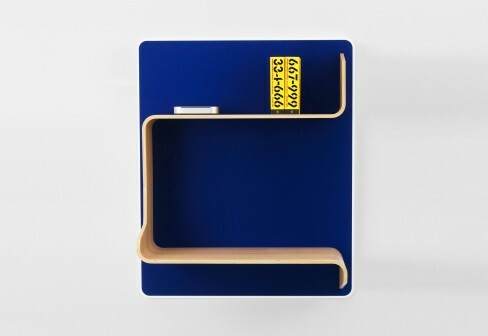 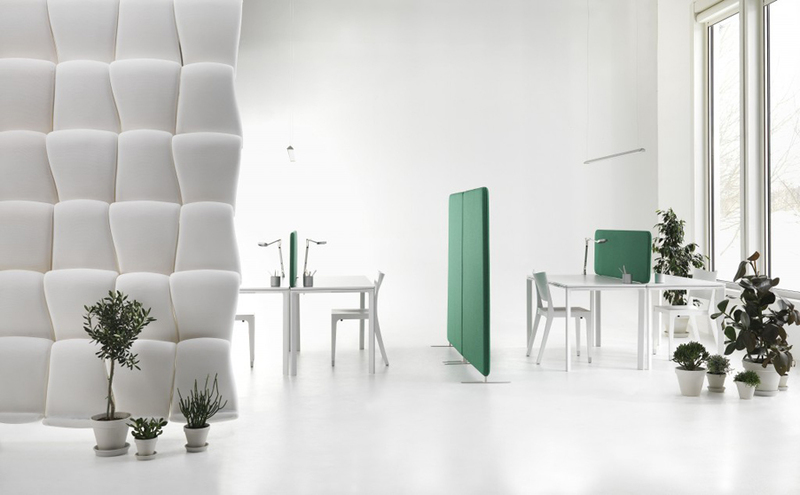 Abstracta focuses on developing products for a functional, inspiring office environment. 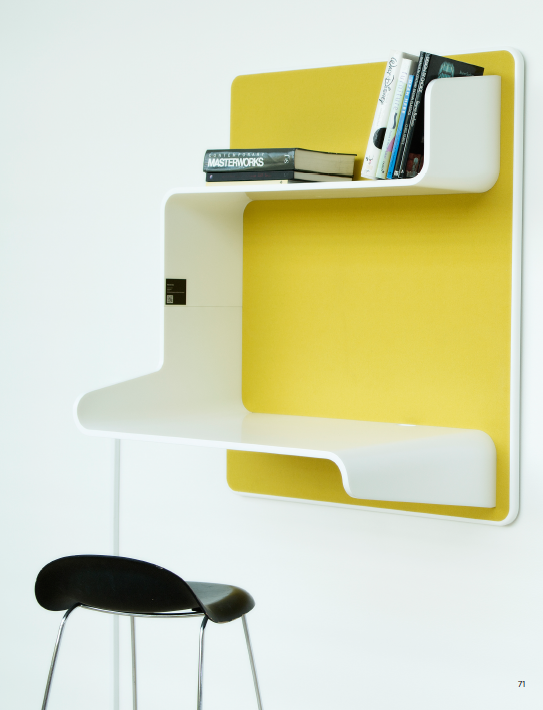 Large parts of the range also work equally well in public spaces and at home. 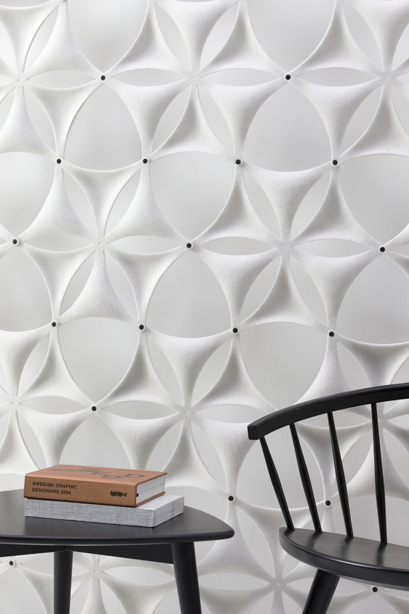 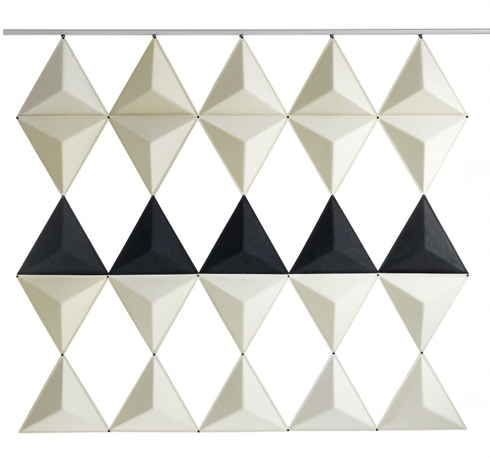 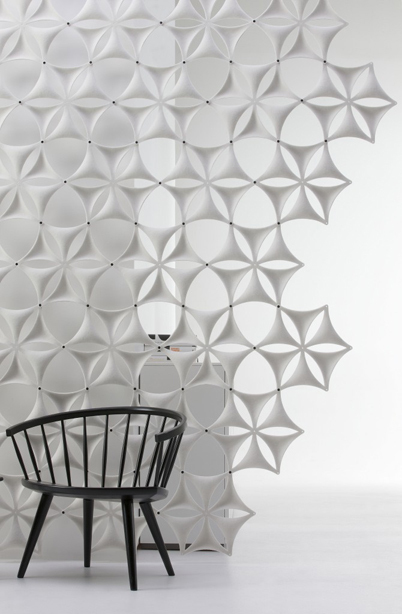 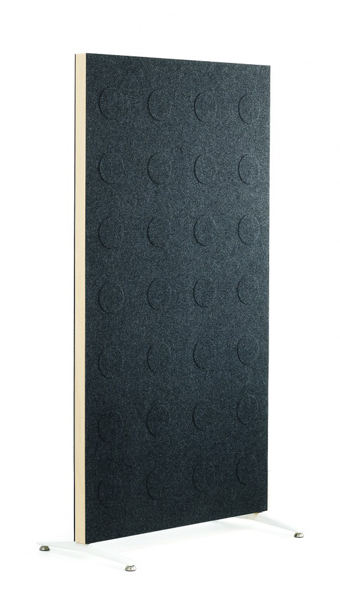 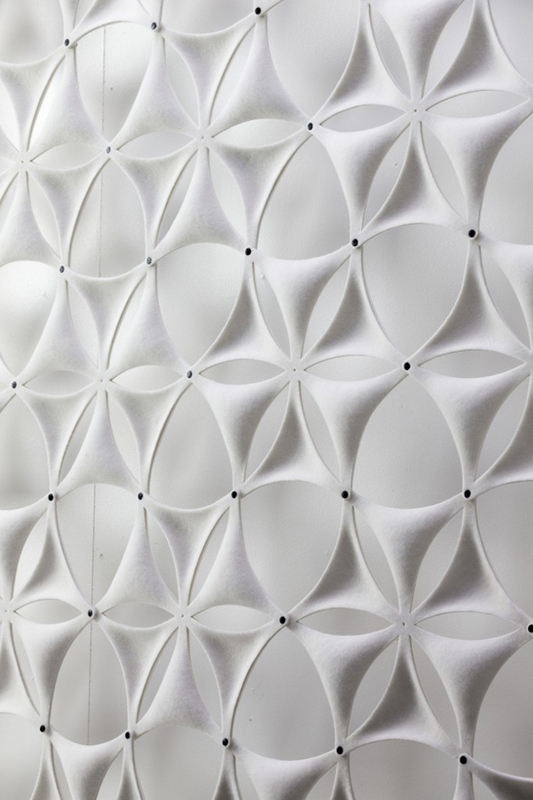 Airflake is a sound-absorbing screen made from molded fiber felt. 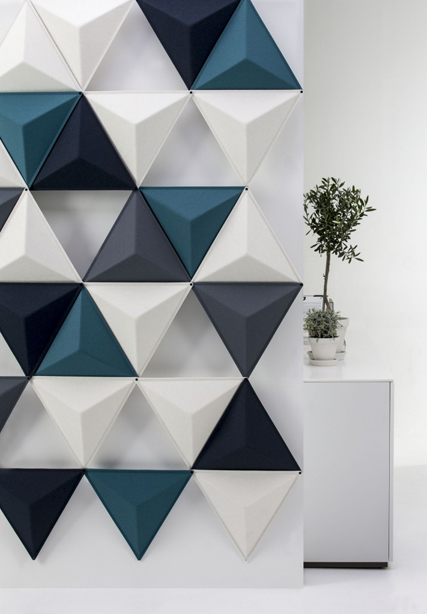 This modular system is built around the shape of a hexagon in a variety of designs and colors which can be freely combined to create the screen. 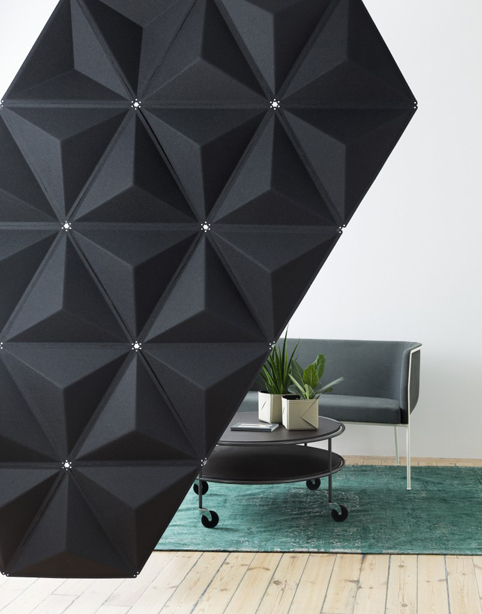 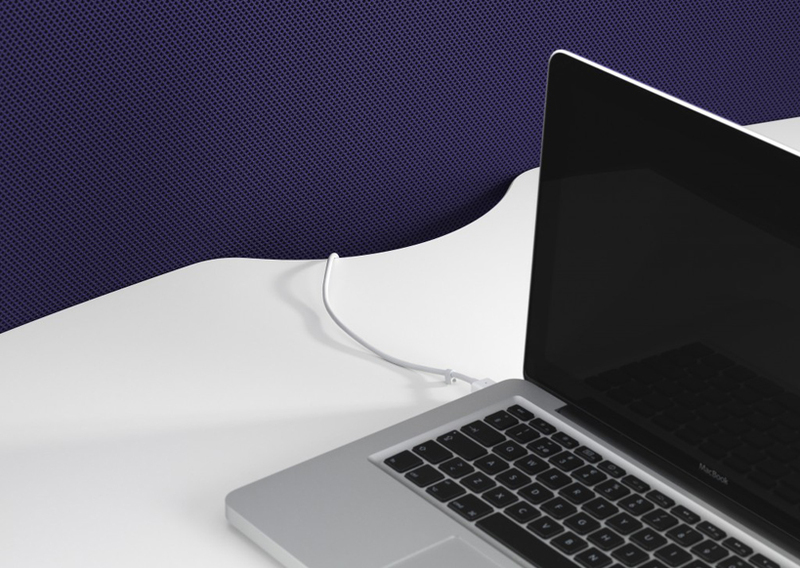 Aircone is a sound absorber with a simple graphic design. 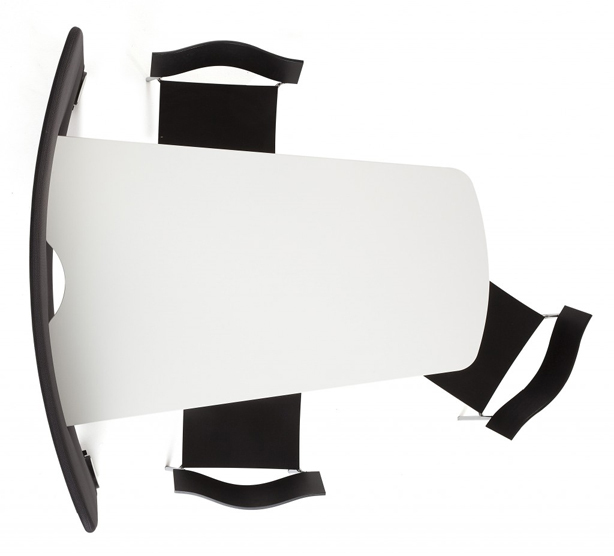 The modules are assembled together using small plastic clips. 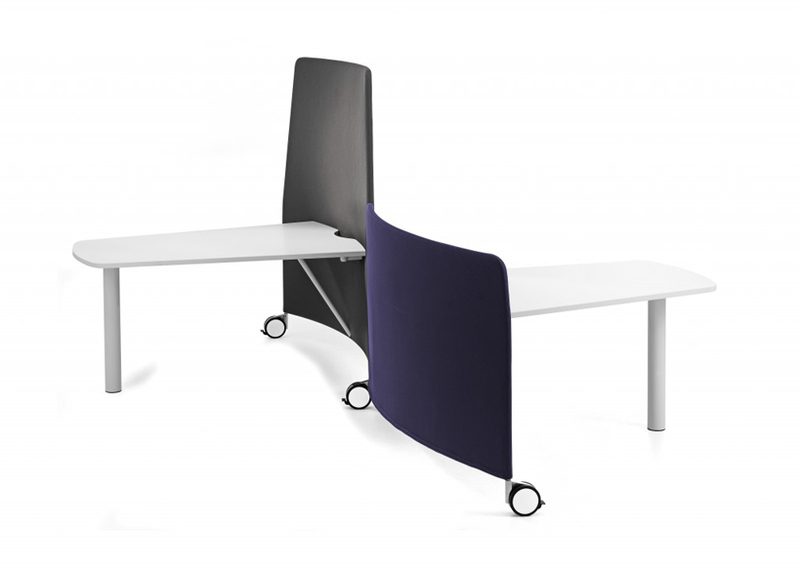 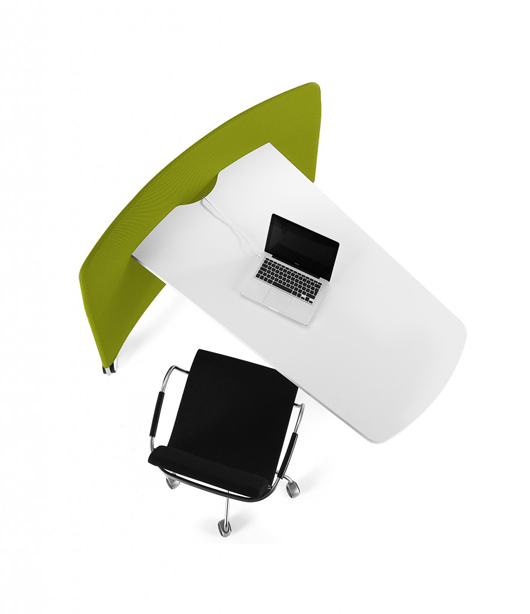 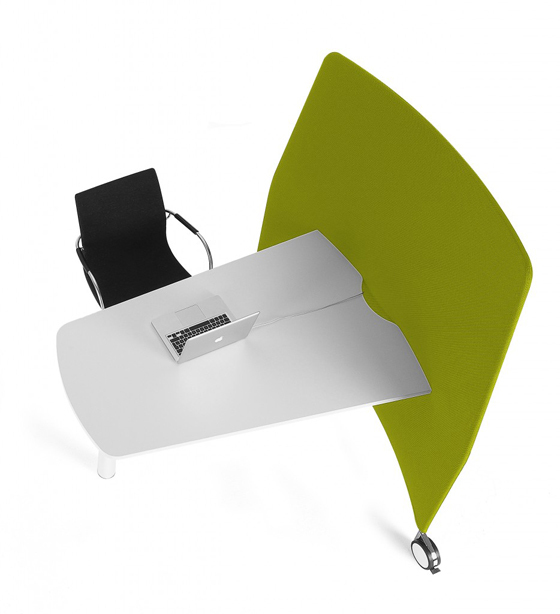 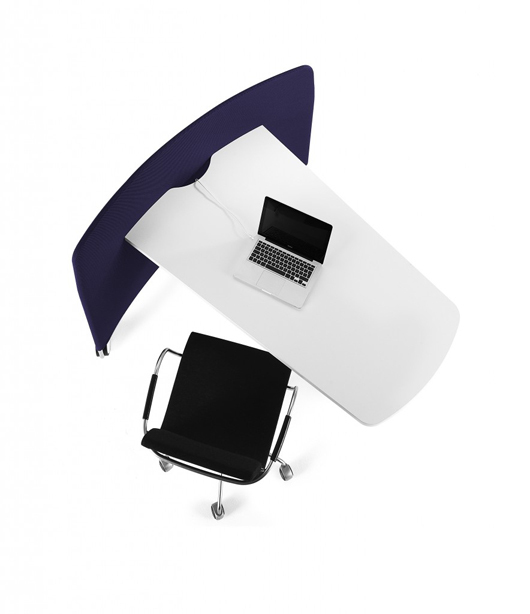 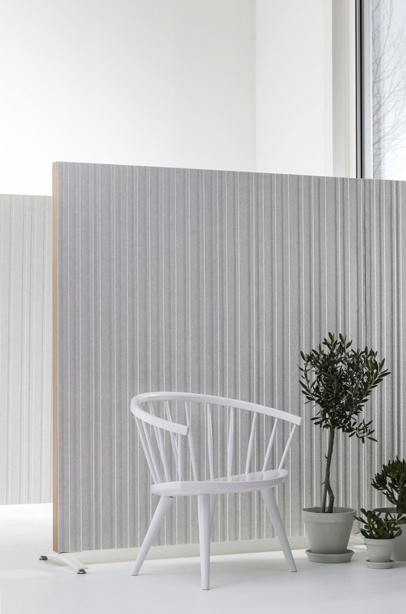 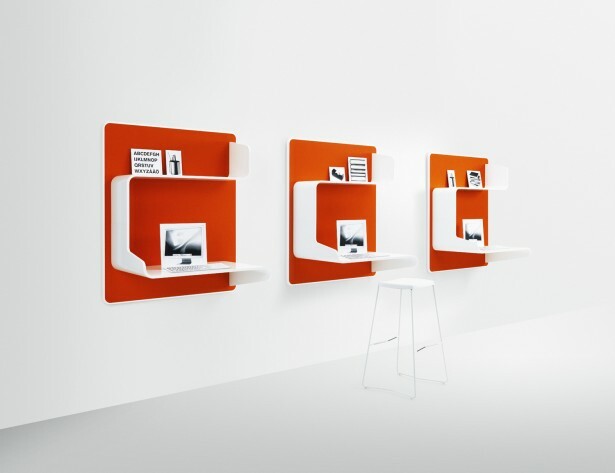 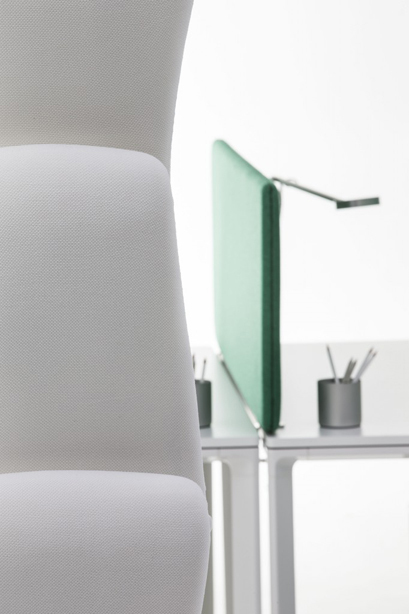 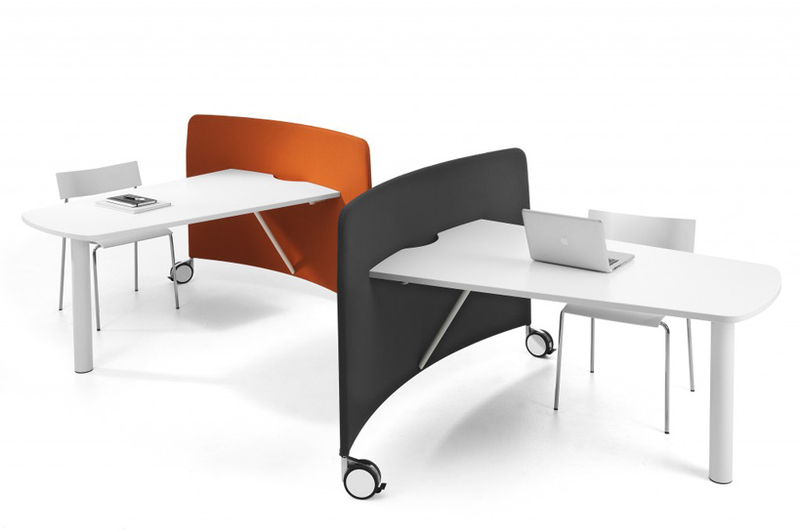 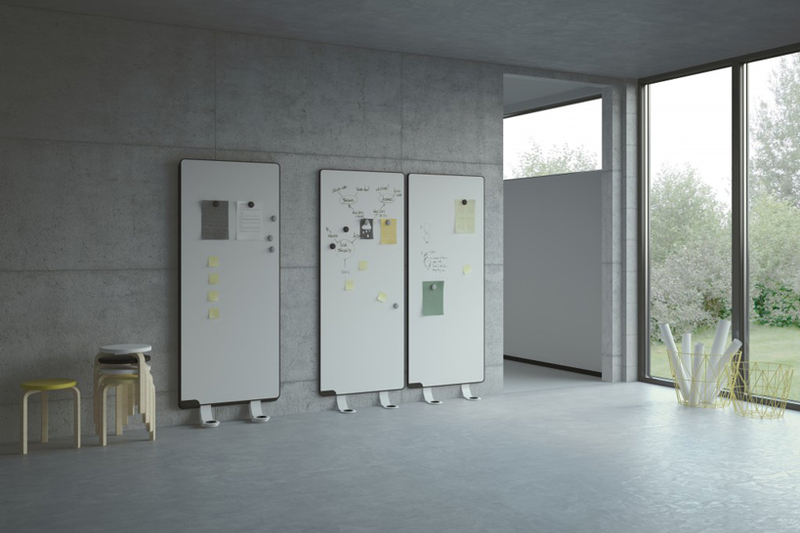 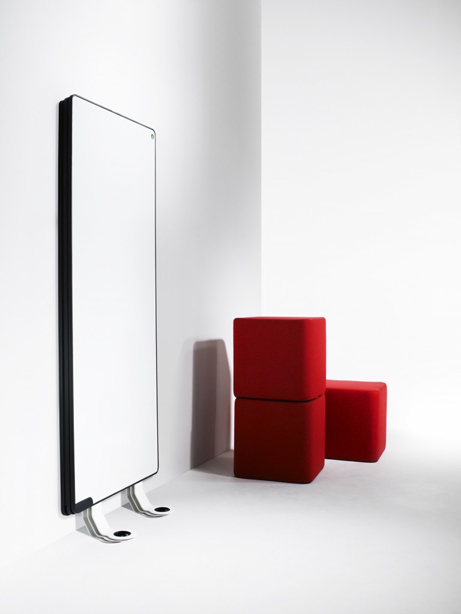 DoReMi is a screen suitable for offices and public areas designed by Nina Jobs. 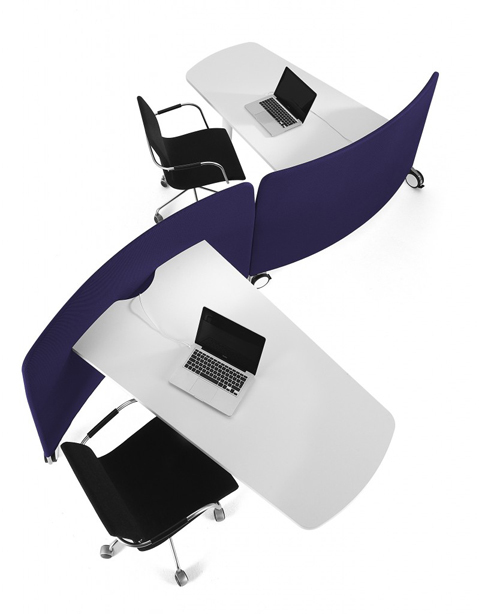 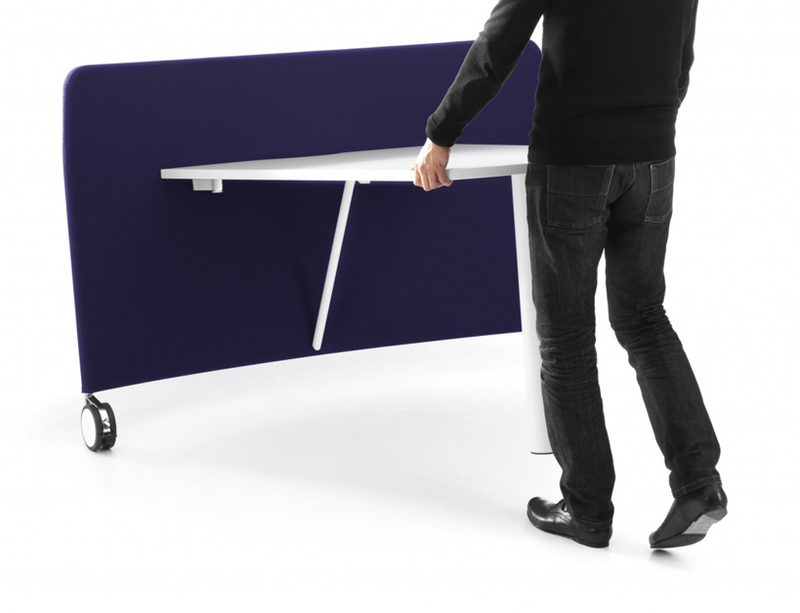 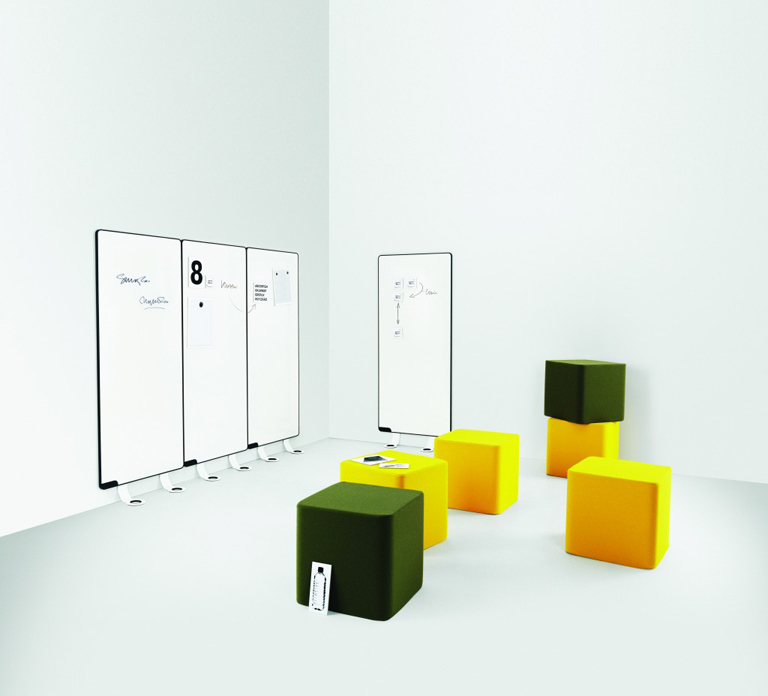 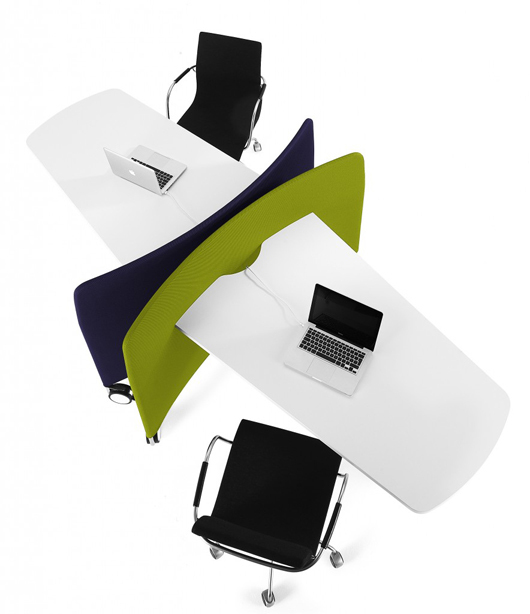 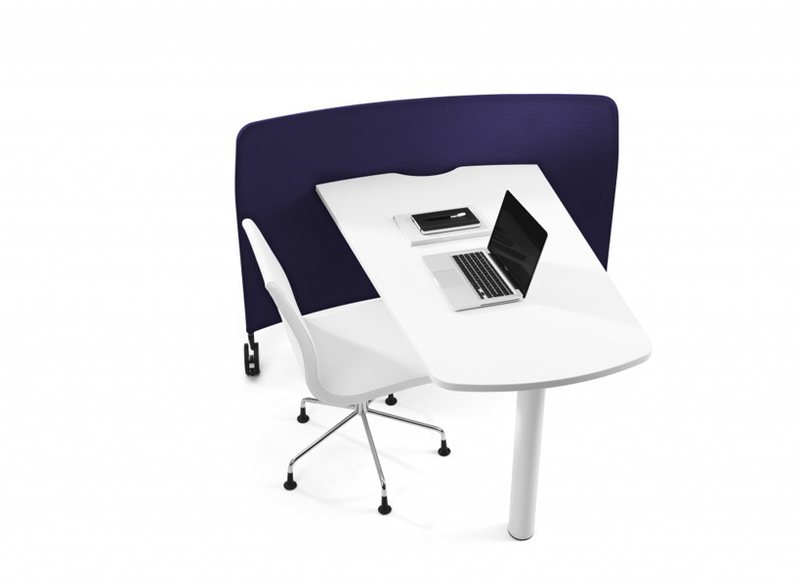 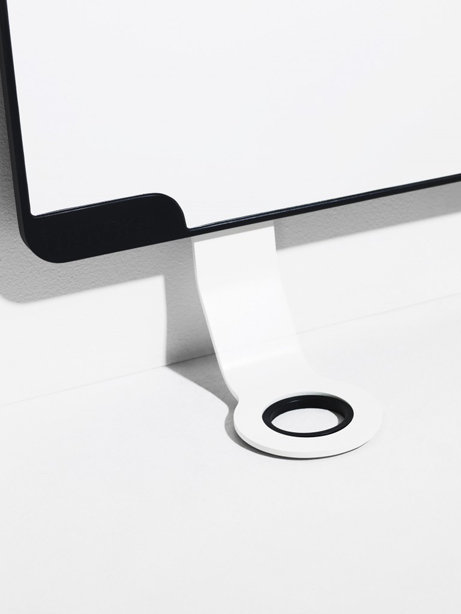 DoReMi can be used as a freestanding solitaire or connected together to screen off a larger area. 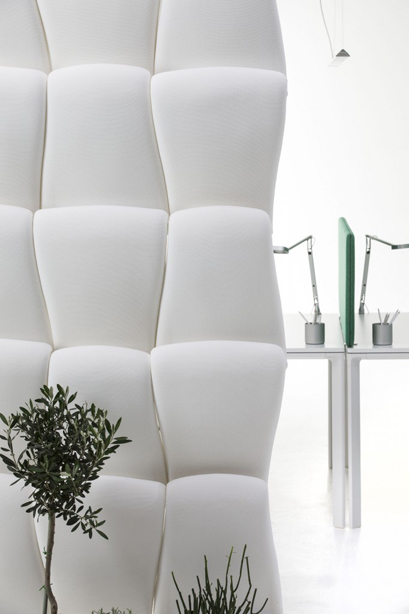 Airwave has a body made from polyurethane and covered with a fabric, which makes the partition sound absorbent. 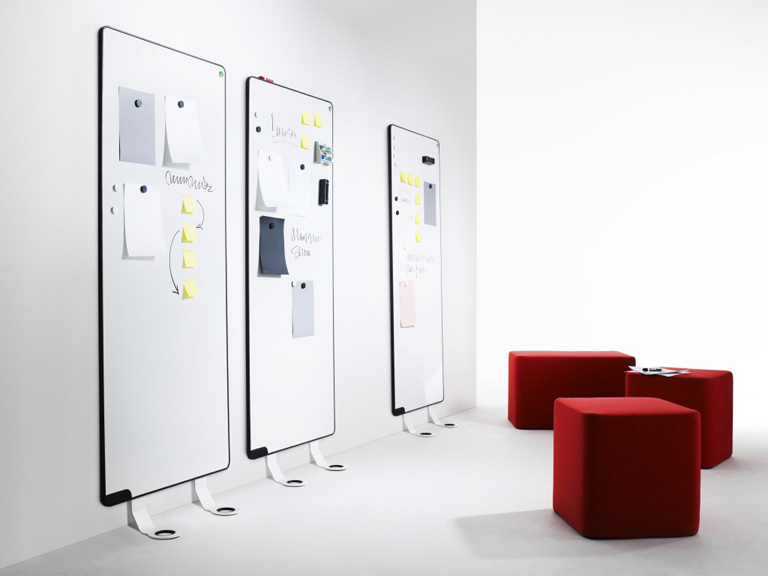 Sketchalot is the world's first and only modular whiteboard panel that doesn't require any permanent attachment to the wall or glass surface. 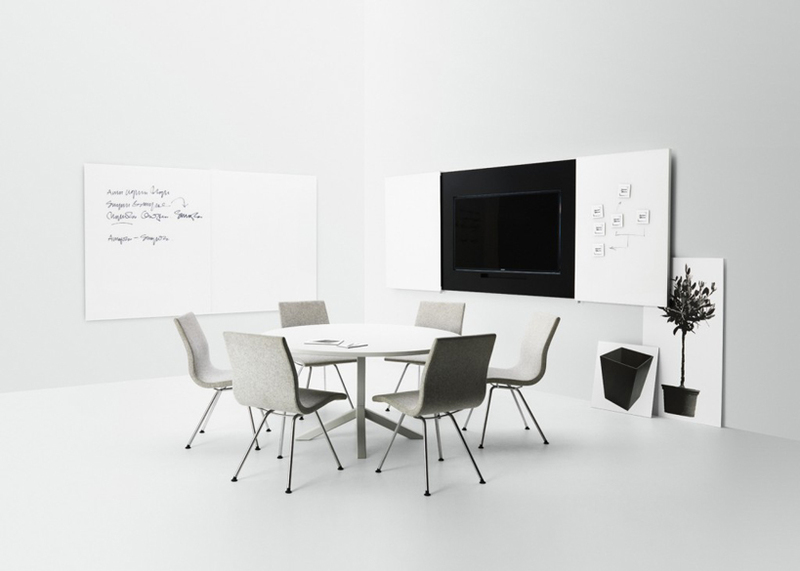 Messenger – design Fredrik Wallner, is an elegant and versatile conference cabinet that is ideal for today's presentation tools. 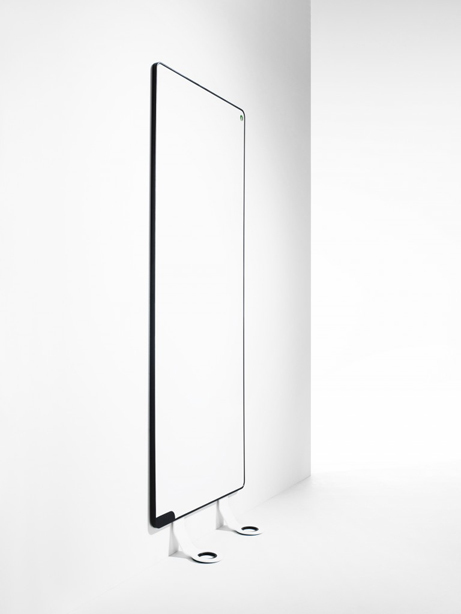 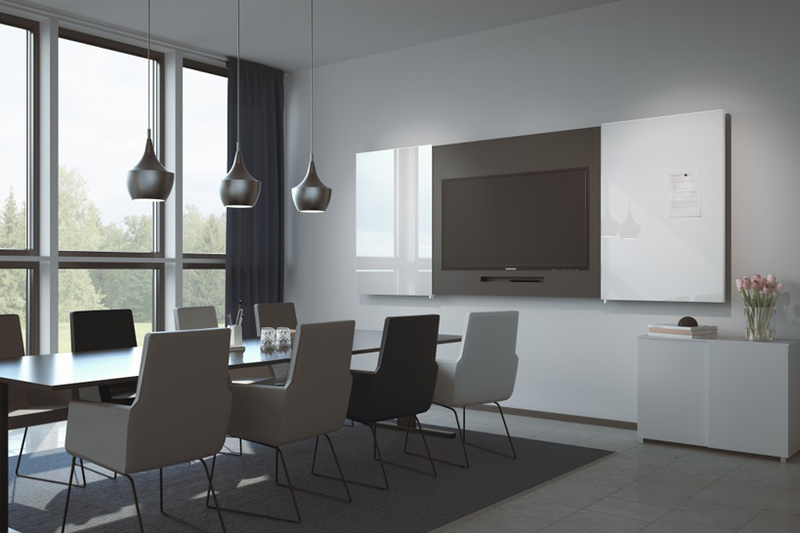 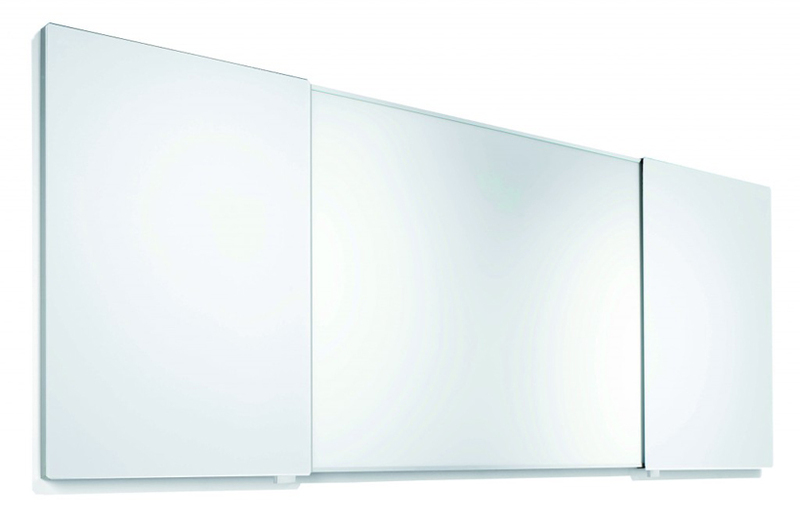 The cabinet is either available with Silverpro writing/projection surface or with a plasma/or lCD screen. 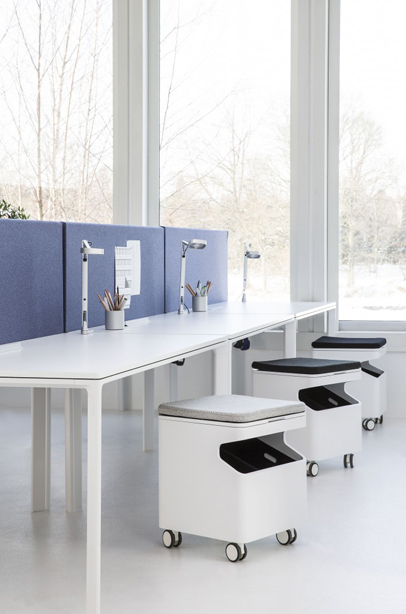 Wall In One is a wall-hung workstation designed to make life easier, particularly at workplaces with a high degree of mobility. 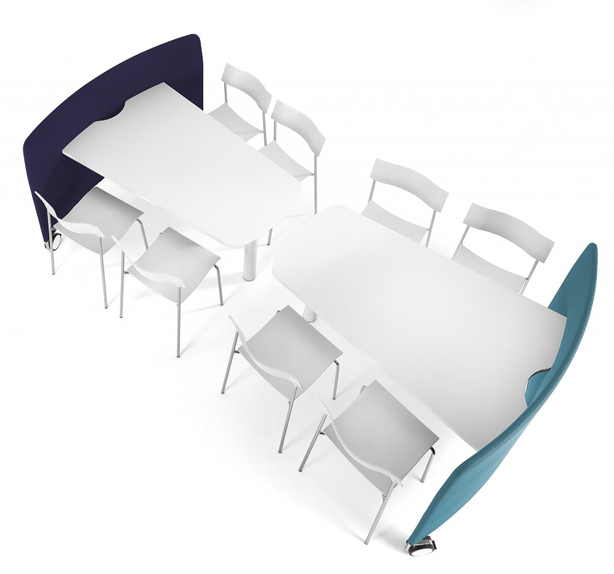 Mobi can be easily assembled on-site and does not require a costly installer or special tools. 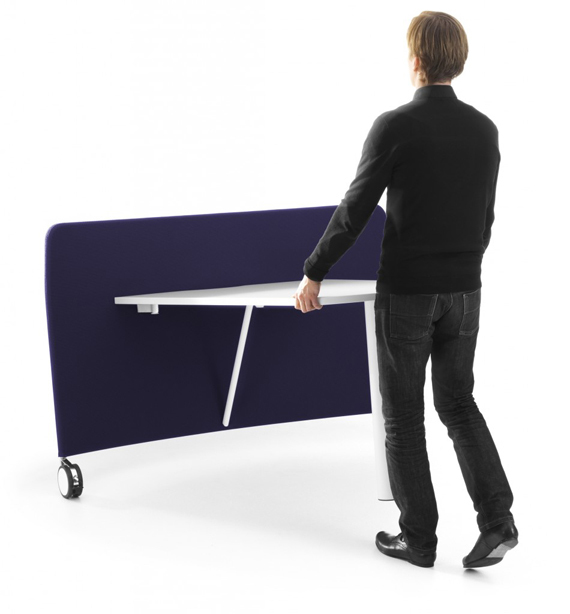 The full-sized work surface can accommodate up to three people for organizing a meeting. 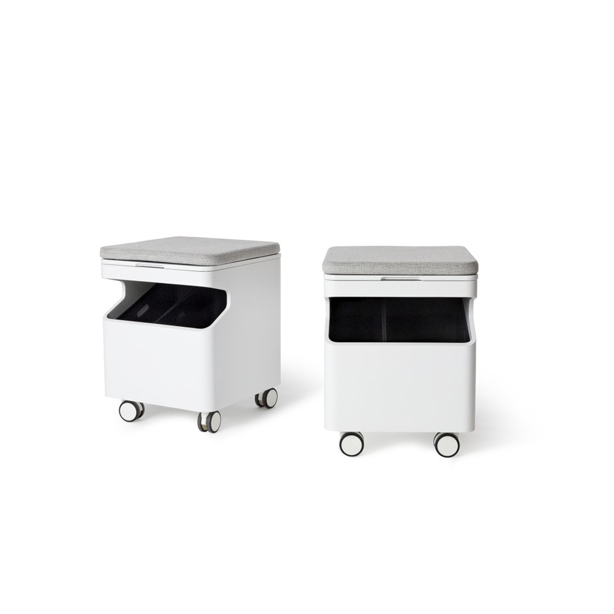 Meet is easily maneuverable, allowing users to simply wheel their Meet to wherever they need it. 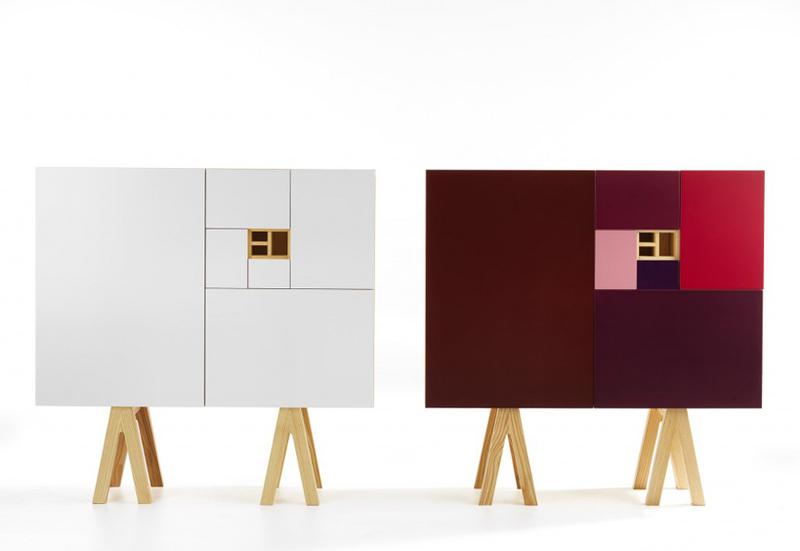 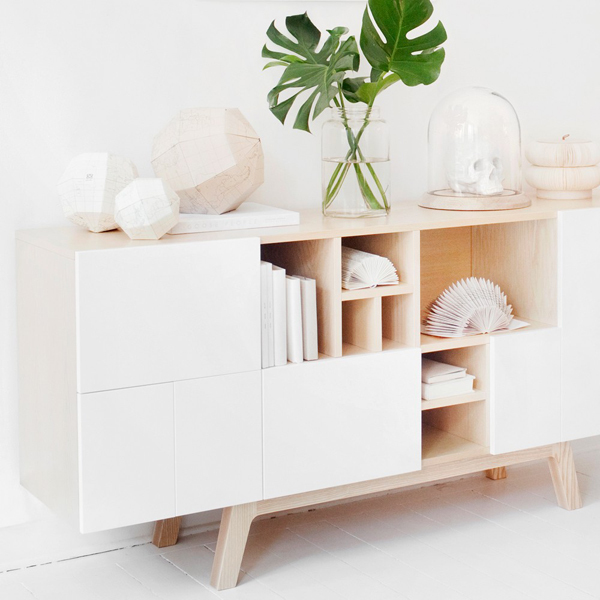 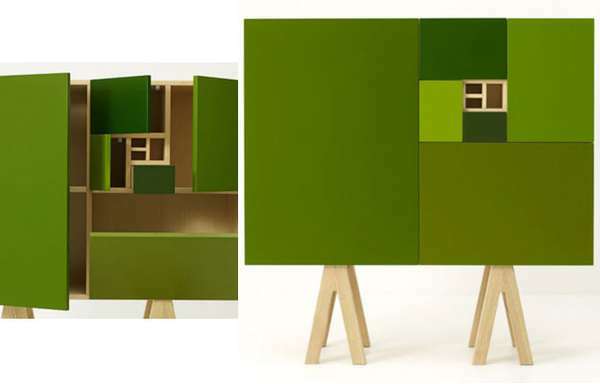 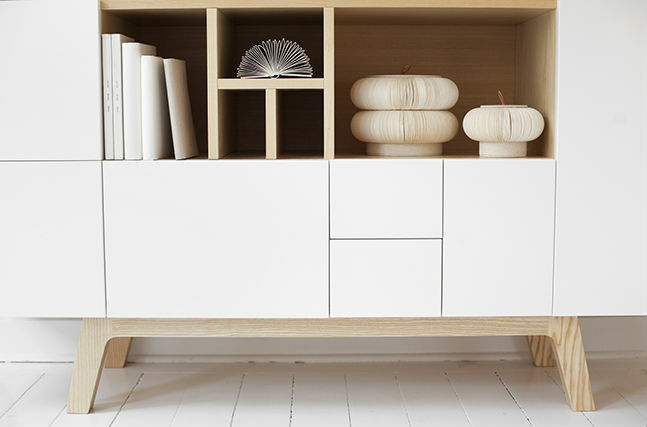 No.216 sideboard is an elegant but still playful storage. 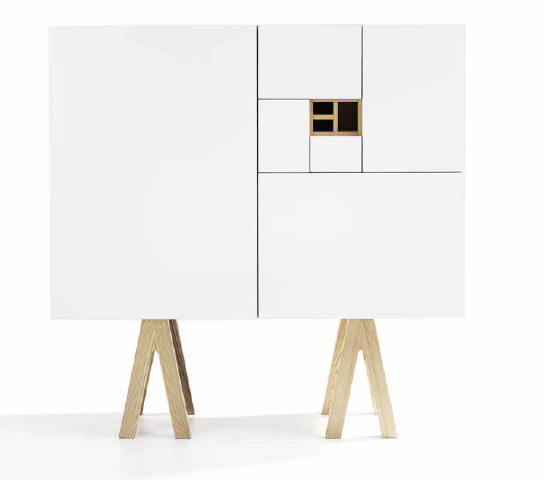 With doors in different shades and a body of ash veneer placed on two trestles, the furniture becomes a playful whole that visualizes classic Mathematics and yet flirts with the great Nordic outdoors.